The Self-Sufficiency Advocate offers weekly support groups and self-sufficiency classes at transitional housing and in the emergency shelter. Group and class topics include “On the Job Training,” “Rules of Money Management,” “Foreclosure,” “Economic Abuse,” “Loan Option – Build or Buy,” “Home Ownership,” “Goals and Budgeting,” “My Money Values,” “Job Search Methods,” “Loan Application Process,” among many more educational topics. 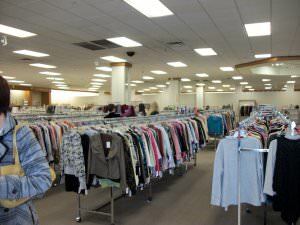 The Self-Sufficiency Advocate utilizes our agency’s thrift stores for client services such as on-the-job training, job shadowing, Allstate Foundation’s “Moving Ahead Through Financial Management” curriculum, and the “Suit Up for Success” program. Our “Suit Up for Success” program utilizes gently used professional clothing that is donated to our thrift stores for victims in the program to acquire and utilize for job interview and work attire. All victims that complete job readiness classes can utilize the resources of this program. Child Care Assistance, Rental Assistance, and Utility Assistance are also resources that are available to clients of the Family Crisis Center.